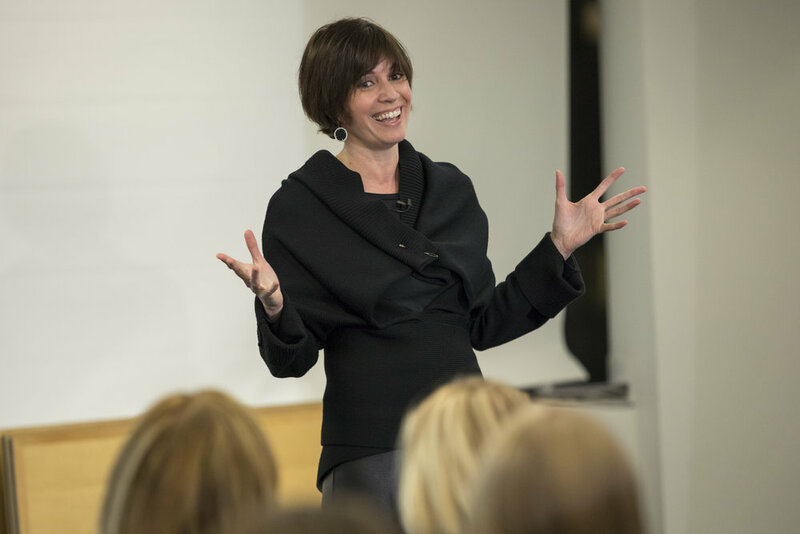 On November 13, Kelly Hoey, a networking expert and writer, came to teach P3 about how to build a dream network. Kelly redefined how we think about networking by explaining that networking is every human interaction. She gave concrete tips on how to leverage digital spaces, how to build long-lasting connections, and explained the different types of networks we engage in. Because Kelly believes networking is about giving back, she has taken the time to respond to follow-up P3 questions via email. Q: You had advised to go to each networking event with intent and to spend a lot of time planning ahead of time. Are you able to provide an example, such as the type of steps I should have taken ahead of Parity Partners event? Give some thought to who you'd like to meet. Is it someone who has a similar background or career experience? Ask the organizers to make introductions - beyond "is there anyone I should meet" as clearly, Parity is a network full of connections you should meet. Be specific. Read up on the speaker. Not only will that give you more insights into the purpose of the event, it will provide fuel for informal conversations early in the evening. Reach out to someone you met at a prior P3 event and see if they're attending the upcoming event. Think up your post event follow-up! If you're going to connect with new connections on LinkedIn, is your profile up-to-date? Check your email signature line and online bio, as the people you've just met will be looking at those too. Q: My network is definitely narrow and deep in the same industry and am struggling to go wide as you suggested. Throwing myself at that event the other night, surrounded by mainly finance and venture capitalists, when I am in marketing was one way---any other suggestions to push to widen that network? A: I've been on this journey (and share it in detail starting at page 70 in my book) and know exactly the place you're standing in now. My suggestion: get curious! What other industries could use your marketing skills? Think about the ways your current industry is leading in marketing - and what the trends say for other industries. Maybe there is a way to pitch yourself in to something new. Similarly, scan Meetup or Eventbrite to discover new groups where the conversations center on the problems your skillset solves. Finally, take a look at where have professionals who have your skill set moved into new and different industries? Take a look at their bios for ideas for groups. Q: I was struck by your comments about reaching out only when you need something. Do I need to be more proactive on that? And is it still ok to ask for help? If you’re not a Harry Potter fan, too bad. You’re not excused from this networking point. In the Potter books, Death Eaters are evil witches and wizards. In networking parlance, they are the people who constantly ask for help or new connections or random introductions but who never, ever reciprocate in kind. No thanks or consideration, just endless asks. Masters of only thinking only about what they need, Death Eaters are the people who zap your energy and kill the strength of your connections. Avoid them. And, more important, follow the networking guidance in this book to avoid becoming one. Q: Any thoughts on best way to approach getting a mentor? A: I'm going to pull from a blog post I wrote for Tunstone: it’s important to remember that mentoring doesn’t have to be a 1:1 arrangement or a lifelong commitment — and it surely doesn’t have to only occur over coffee. Instead, think about the guidance you're seeking - and not only the people but the different ways you can get that information. I suspect many of the role models you'd like guidance from blog, tweet, have newsletters or release videos. For me, Brene Brown would be an incredible mentor. What's the likelihood of 1:1 time with her? Highly unlikely. However, if I consider watching her TED talks, reading her books etc. as providing the answers I'm seeking, it is a pretty good mentoring. If you look at mentoring in a fresher, information gathering way, you'll see you have many more opportunities to be mentored -such as in asking me this question. And I truly believe that those who are proactively seeking ways to advance their careers, attract the guidance and mentorship they are seeking - which is what you're doing by joining the Parity Partners community. Most importantly, remember that being a good networker means being a decent human being: don't forget to follow up and say thank you to those who help you out, and to establish regular touch points to show people you care. Thank you so much Kelly for joining us at P3! Follow us on Twitter and LinkedIn for future updates. The P3 Program is an education initiative by Parity Partners, an executive search company committed to diverse work cultures & to supporting minorities succeed in their careers.